Vino Vino: This wine bar and restaurant is located in Hyde Park and has regular live music. They also serve dinner, dessert and coffee. Don&apos;t miss the delicious paella on Sunday nights! Vino Vino is a great spot for a date or just to catch up with friends. House Wine: Located in an old house just off Barton Springs Road and Lamar Boulevard, this spot is unpretentious and comfortable. Great wine selection, simple food menu, live music and local beer make this a perfect hang out spot. Max&apos;s Wine Dive: Max&apos;s has to be the only place in town where you can get amazing wine alongside tasty fried chicken. The restaurant and wine bar offers an expansive food menu and they&apos;re open for lunch! Attending a convention at the Austin Convention Center? Max&apos;s is just a block away at Third and San Jacinto Streets. 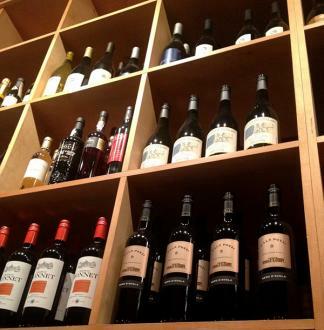 What favorite Austin area wine bar would you add to this list? Let us know here or at @VisitAustinTX with #TrueAustin!